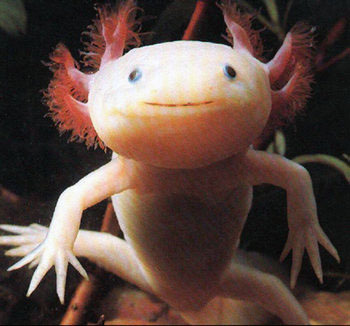 Axolotl can regenerate limbs, eyes, heart and part of the brain. Axolotl can also readily accept transplants from other individuals, including eyes and parts of the brain—restoring these alien organs to full functionality. In some cases, axolotls have been known to repair a damaged limb as well as regenerating an additional one, ending up with an extra appendage that makes them attractive to pet owners as a novelty.